Our range of products include 50 mm i-beam cable trolley, i-beam cable trolley-h and double decker i-beam cable trolleys-h.
NBM is leading Manufacturer & Exporter of Cable trolley & I-Beam trolley. We are successfully ranked amongst the trustworthy entities offering a wide range of 50 mm I-Beam Cable Trolley. Trolley manufactured using high quality stainless steel alloys and advanced technology. Precision work makes cable trolley more accurate dimension and aligned functionality. Furthermore, this trolley is developed adhering to industry standards, which assure high durability and reliable performance to the users. In addition, clients can also opt for custom trolley according to their requirement or projects. 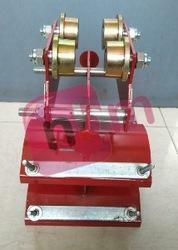 NBM is leading Manufacturer & Exporter of Cable trolley & I-Beam trolley. We are successfully ranked amongst the trustworthy entities offering a wide range of I-Beam Cable Trolley-H. Trolley manufactured using high quality stainless steel alloys and advanced technology. Precision work makes cable trolley more accurate dimension and aligned functionality. Furthermore, this trolley is developed adhering to industry standards, which assure high durability and reliable performance to the users. In addition, clients can also opt for custom trolley according to their requirement or projects. 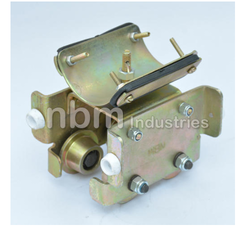 NBM is leading Manufacturer & Exporter of Cable trolley & I-Beam trolley. We are successfully ranked amongst the trustworthy entities offering a wide range of Double Decker I-Beam Cable Trolleys-H. Trolley manufactured using high quality stainless steel alloys and advanced technology. Precision work makes cable trolley more accurate dimension and aligned functionality. Furthermore, this trolley is developed adhering to industry standards, which assure high durability and reliable performance to the users. In addition, clients can also opt for custom trolley according to their requirement or projects.